Bankruptcy Information | California Homeowner Bill Of Rights: Impacts Practice Of Dual Tracking! California Homeowner Bill Of Rights: Impacts Practice Of Dual Tracking! Home > Bankruptcy Basics > California Homeowner Bill Of Rights: Impacts Practice Of Dual Tracking! 01 Jan California Homeowner Bill Of Rights: Impacts Practice Of Dual Tracking! Dual tracking is a practice whereby aservicer will continue to negotiate with a borrower to modify a loan toward the goal of making the monthly payments more affordable, while at the same time continuing to pursue foreclosure on the home. Why did California enact such legislation? After all, didn’t the big five mortgage servicers,Bank of America, JPMorgan Chase, Wells Fargo, Citigroup, Ally Financial (formerly GMAC) agree to stop dual tracking as one of the terms of theNational Mortgage Settlement? The reason why California found the need for additional State regulation of foreclosure practices is simple: The big five mortgage servicers only make up 60% of the lenders, leaving the remaining 40% free to continue with selling homes out from under borrowers who thought that the loan modification process had stopped the foreclosure. The truth is that all States need to consider similar legislation to prevent people from slipping through this hole in the mortgage settlement agreement. I frequently meet with potential bankruptcy clients that tell me that they have just learned that their home loan modification has not been approved and that their home is scheduled for foreclosure. While it is sometimes possible to file an emergency Chapter 13 bankruptcy to stop the foreclosure, often there is simply not enough time to act. The only sure way to stop a foreclosure is to file a bankruptcy. Either a 7 or a 13 will stop the lose of a home, however, only a payment Plan in a Chapter 13 will allow a homeowner to catch up on the arrearages with monthly payments over a 3 to 5 year plan. 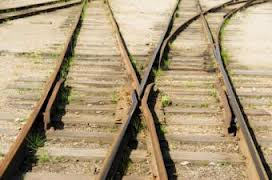 I suggest that just like the mortgage company, you should dual track. Go forward with trying to obtain a loan modification if you believe one is in your best interest, but also explore your options to save you home in a bankruptcy.